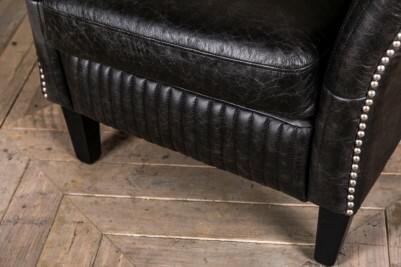 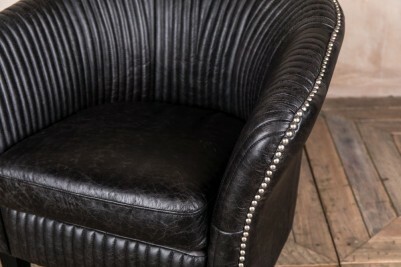 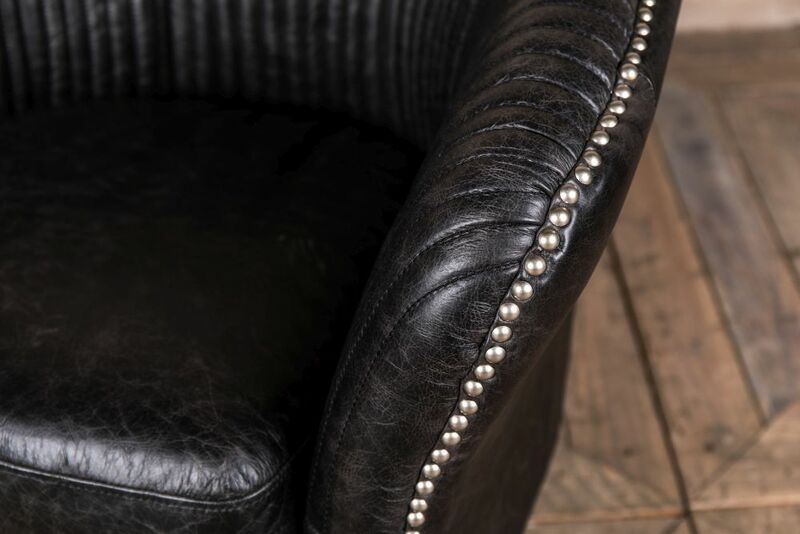 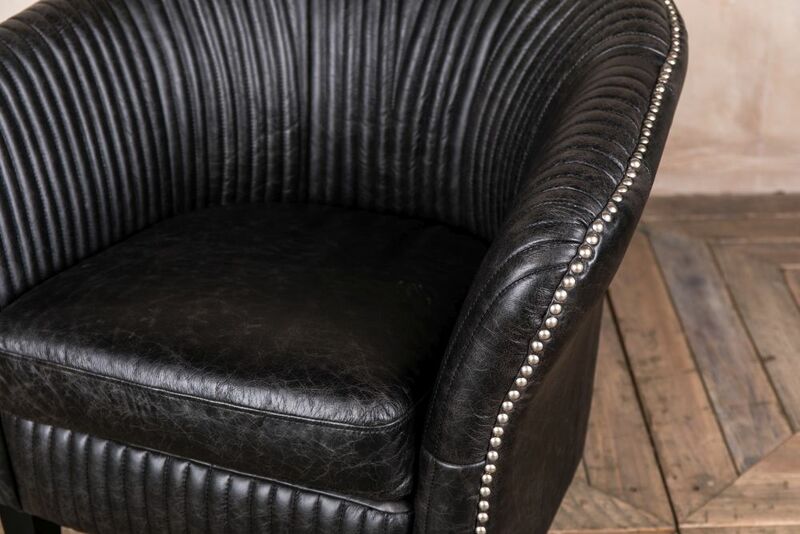 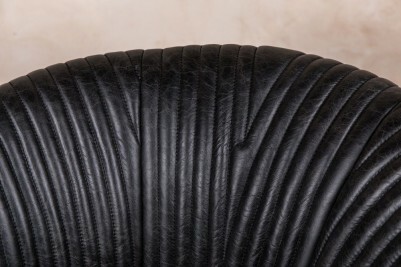 Black upholstery and silver studs come together to make this fantastic leather tub chair. 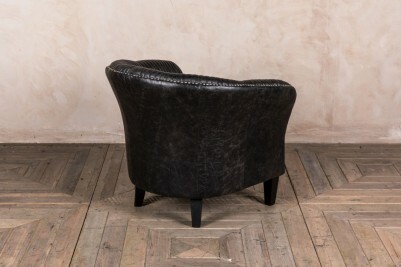 It would be perfect as an armchair in any interior. The ‘Valence’ armchair features delicate ribbed stitching, making it perfect for a contemporary interior. 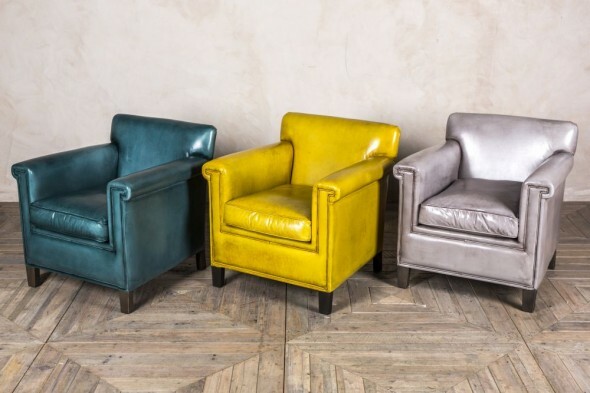 The retro design means it would also go perfectly in a vintage style space; or it could even be used in an industrial inspired room. The silver studwork, dark upholstery and black wooden legs give it a stunning industrial edge. 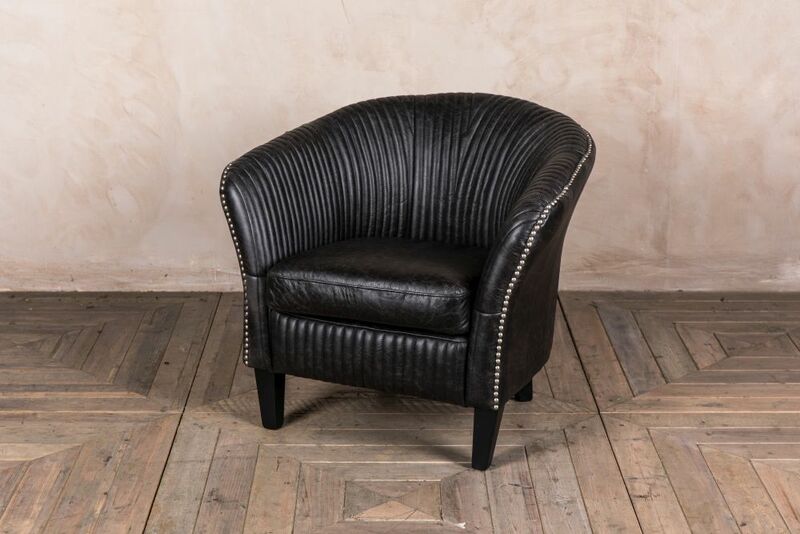 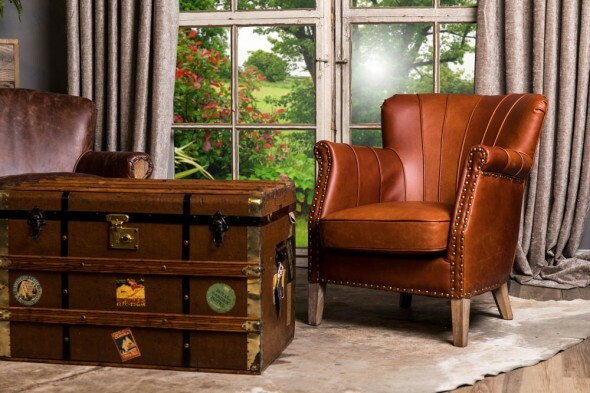 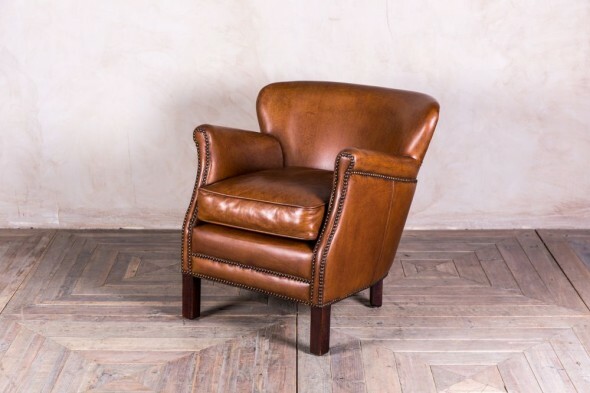 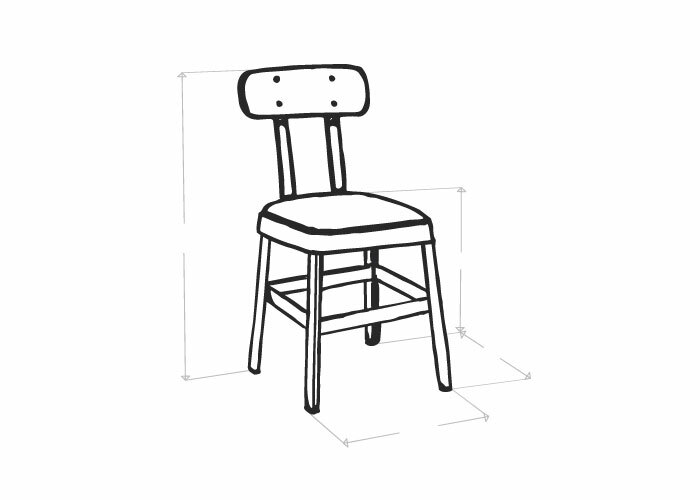 The chair would be ideal as an armchair in a bar, or as a feature chair in a bedroom or hallway. 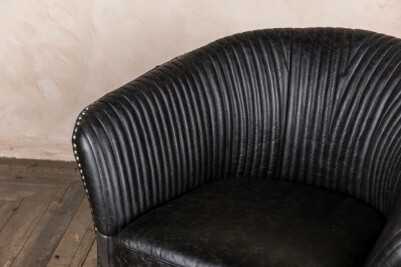 Alternatively, it would look equally good in a home study or living room.